That tech demo we saw of the Street Fighter X Tekken crossover running on an iPad earlier this month becomes a real boy, as Capcom shrinks Ryu, Nina, Chun-Li and Kazuya down until they fit inside iOS devices. Street Fighter X Tekken Mobile features the same great fighting action of the console version, only without the pesky disc for everyone to get upset over. The controls are revamped to work with a touch screen, of course, because otherwise this would just be a video that would make us cry. The four confirmed characters can be found hidden in the initial paragraph of this article. 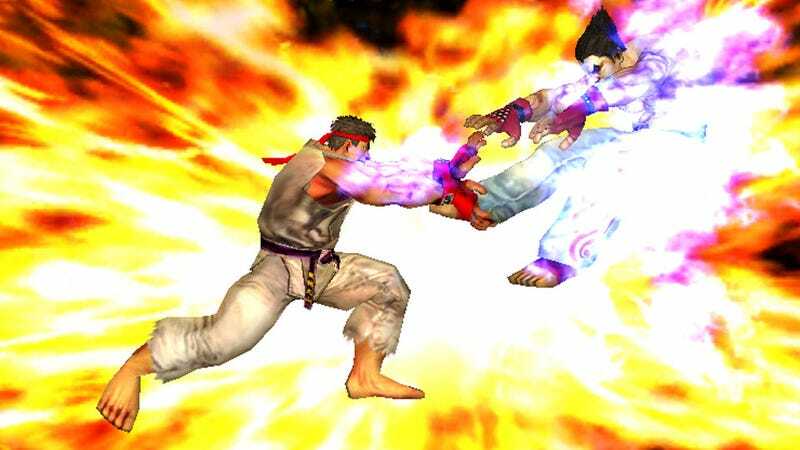 Street Fighter X Tekken Mobile will be available this summer for iPhone 4 or better, iPad 2 or better and fourth generation iPod Touches.